On the day when serious doubts are raised about the economic and environmental case behind a plan to build a £25bn tidal barrage spanning the Severn Estuary, another, much smaller, scheme not many miles away on the same body of water n South Wales moved to a significant next stage. A community share offer was launched (10 June 2013), designed to raise £2 million for the planned Swansea Bay Tidal Lagoon. This offer is aimed specifically at local people, who have shown their broad support for the project at a number of local consultations. They will be able to buy the £800 shares to help fund the preliminary stages of the project. If it is approved, the lagoon, set within a curving c.9.5km breakwater wall next to the Port of Swansea, could be open by 2017, generating over 400,000MWh/year. This is enough to supply over 121,000 homes, or the city’s entire domestic electricity use. Meanwhile, a much bigger proposal, to put a 18km long barrage between Brean in England and Lavernock Point in Wales, capable of generating 5% of the U.K.’s energy needs, has received a setback, in a critical report published by the Energy and Climate Change Committee. The barrage could create 20,000 construction jobs, and another 30,000 indirect jobs. However the report suggests that the scheme “has not demonstrated sufficient value as a low-carbon energy source to override regional and environmental concerns”. On the other hand it is harder to find a coherent case against the Swansea scheme, which would cost in the region of £650m to £750m. The proposers’ web site defines the lagoon as a breakwater wall in the sea that generates power using the differential between water levels in and outside the lagoon. There would be a section of hydro turbines at the deepest part of the wall, enclosing c.11.5km² of tidal area, through which the sea flows 4 times a day on both ebb and flood. When sluice gates are opened, the resulting inward flow of water drives turbines to generate electricity. 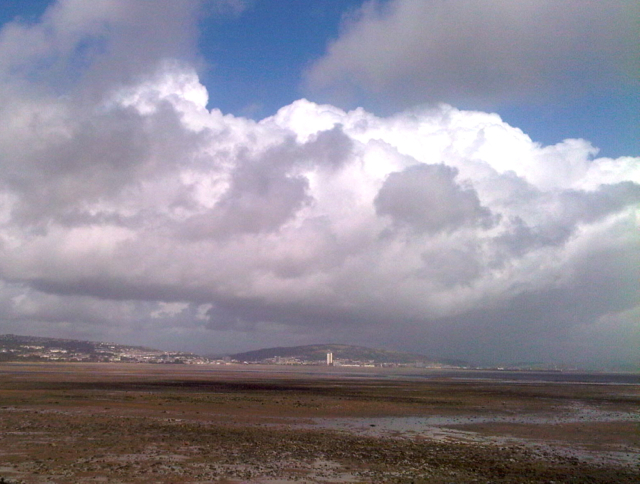 The Severn estuary, of which Swansea is a part, is a particularly attractive place to sites such schemes, as it has a second-largest tidal range in the world. The technology risk – the main components have been used elsewhere in ther world – is described as “low”. Funds raised will be used “to further support the R&D required to adapt existing hydro technology, breakwater construction and design for the tidal lagoon environment”. The share launch is part of an initial £10m cash bid to fund the preparatory stages of the programme. The total will be spent on the development phase; preparing the planning application for the lagoon and the associated planning inspectorate planning process, as well as the completion of environmental survey work. Tidal Lagoon (Swansea Bay) plc took a stand at the 2013 Hay Festival, where it would have done it case no harm, through the exposure to writers, politicians and opinion leaders in the UK, and beyond. It has the advantage of proposing a fairly modest project compared to the Severn Barrage and any nuclear power station you could name, both of which have to go through long and rigorous planning processes. It could be that a national government, eager to re-establish its green credentials before the next General Election, will look favourably upon schemes such as this, which have on their side the fact that they are relatively uncontroversial, comparatively inexpensive and are based largely on established technology. Having the support of many local people helps too, considering the often strident opposition to onshore wind farms. (The company is hoping to offer low-cost electricity tariffs to locals, if the scheme goes ahead.) One of its wider ambitions is to help launch a tidal range industry for the UK, centred around Wales.